Alive! 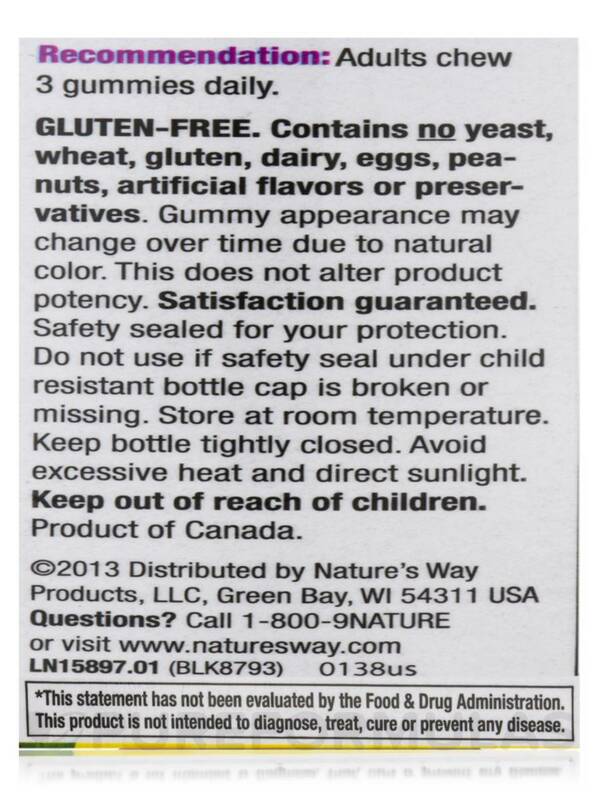 Women's Gummy Multi Vitamin by Nature's Way are great like a treat. I use Gummy Vitamins and thought I'd try Alive Women's Gummy by Nature's Way one with the fruits & veggies and the taste was awful! 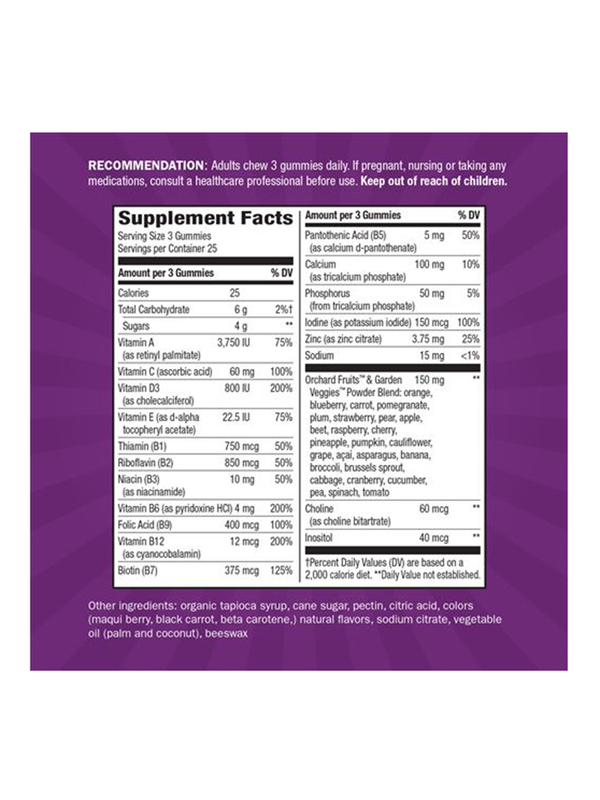 Women may feel in the pink of health when they take Alive!® Women’s Gummy Multi-Vitamin - 75 Gummies from Nature’s Way®. Containing a blend of vital fruits and vegetables‚ it may help boost vitamin and mineral supply to promote vitality. 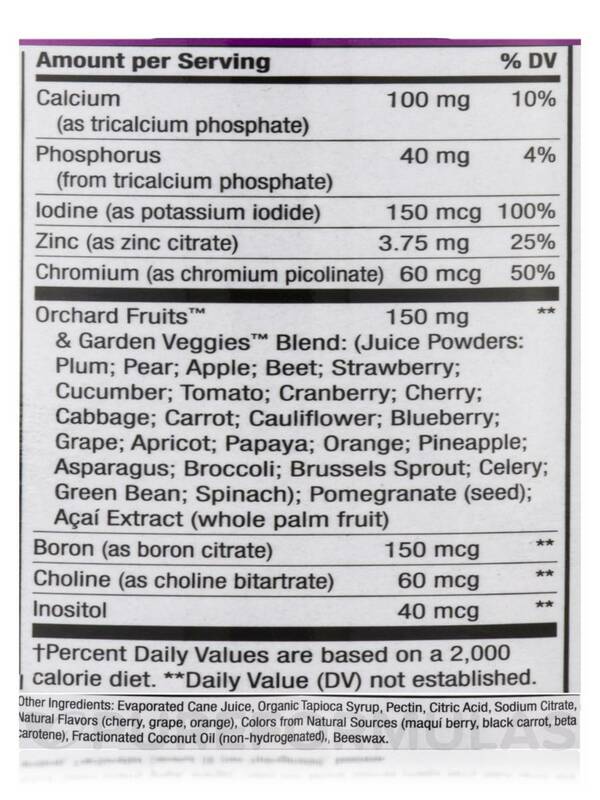 The Orchard Fruits™ and Garden Veggies™ Blend contains vitamin and mineral rich fruits and vegetables such as pear‚ plum‚ apple‚ beet‚ cabbage‚ carrot‚ broccoli‚ Brussels sprouts‚ spinach‚ tomato‚ cranberry and more. 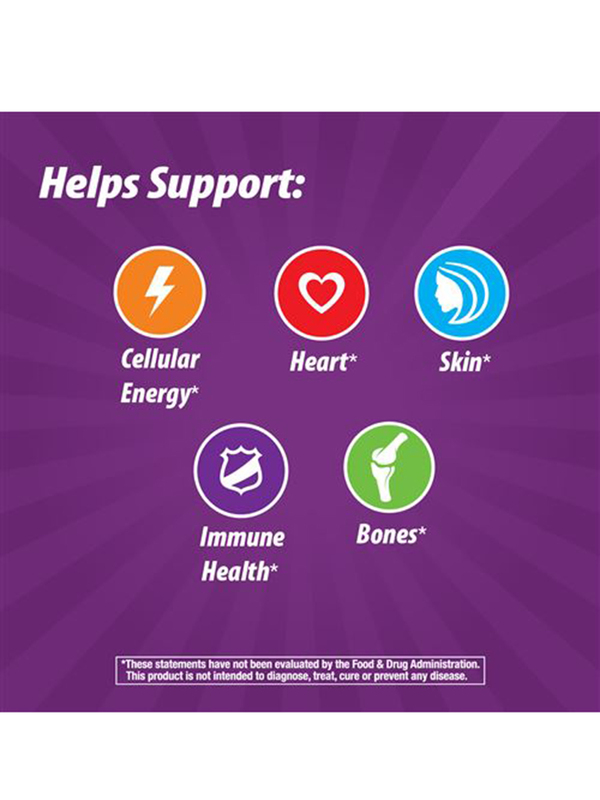 These pack an entire gamut of vitamins such as vitamin A‚ B-complex‚ C‚ D‚ E and minerals viz. calcium‚ phosphorus‚ zinc‚ iodine‚ and chromium. Boron in this women’s health supplement from Nature’s Way® is a trace mineral that may reduce the discomfort of menopause and lessen the symptoms of or prevent painful joint conditions. Boron may also equip the body to absorb calcium and magnesium much better. It promotes bone health and estrogen production. Choline appears to help the nervous system perform optimally and is similar to B vitamins. It may have positive effects on low mood and memory loss too. 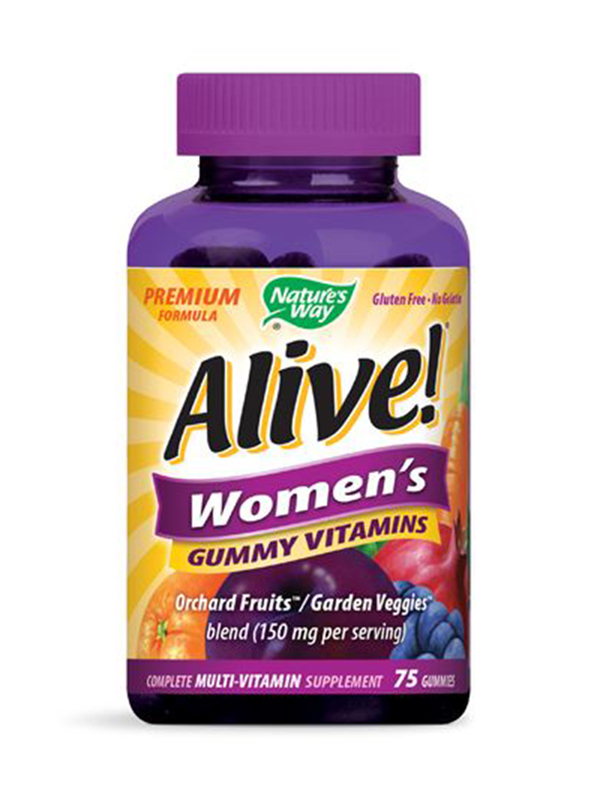 Alive!® Women’s Gummy Multi-Vitamin - 75 Gummies from Nature’s Way® may help women find renewed vigor and a new positive outlook to life. Evaporated Cane Juice‚ Organic Tapioca Syrup‚ Pectin‚ Citric Acid‚ Sodium Citrate‚ Natural Flavors (cherry‚ grape‚ orange)‚ Colors from Natural Sources (maqui berry‚ black carrot‚ beta carotene)‚ Fractionated Coconut Oil (non-hydrogenated)‚ Beeswax. Alive! 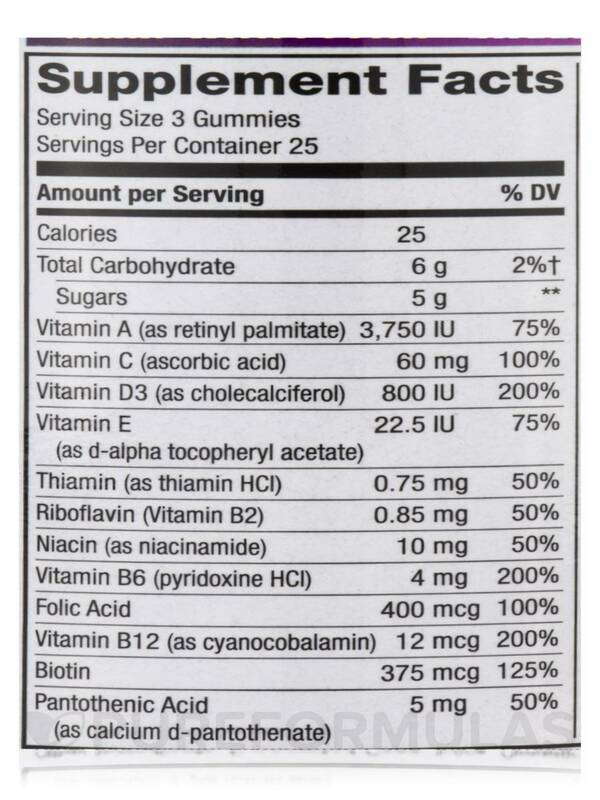 Women's Gummy Multi-Vitamin by Nature's Way is so good and very concentrated. My daughters love how they taste too. I don't have to beg them to take vitamins anymore. 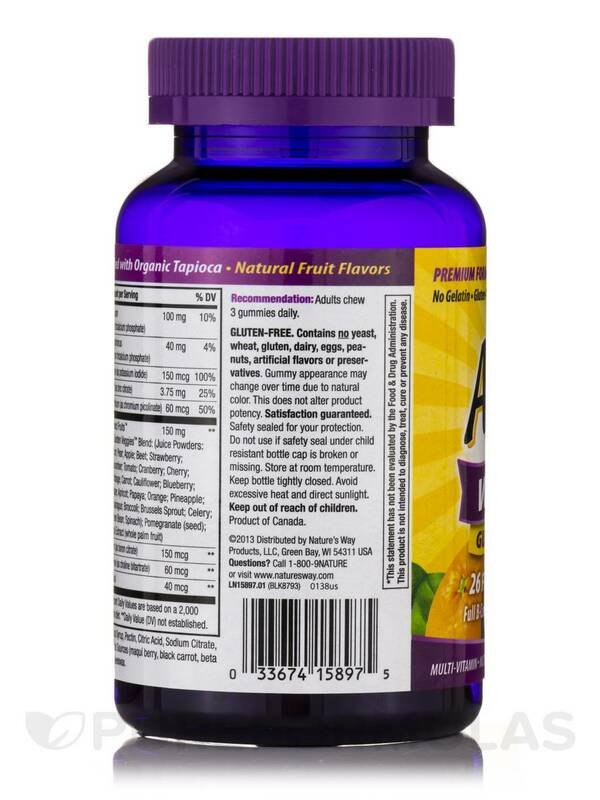 We have tried several gummy vitamins and none are as easy to chew and taste like a good vitamin. They taste great, easy to chew, contain everything a woman needs. Not enough in the jar. Make a bigger jar please. I keep running out. The suggested daily amount is 3 per person, so why not make it stronger? If you have 3 per day, makes bottle last less time. Do these work teens under 14? Hello, thank you for contacting PureFormulas. When it comes to vitamin needs, it varies from person to person depending on how much of each nutrient one's getting through foods and also how the body absorbs it. For a better recommendation, we suggest contacting your health care practitioner.